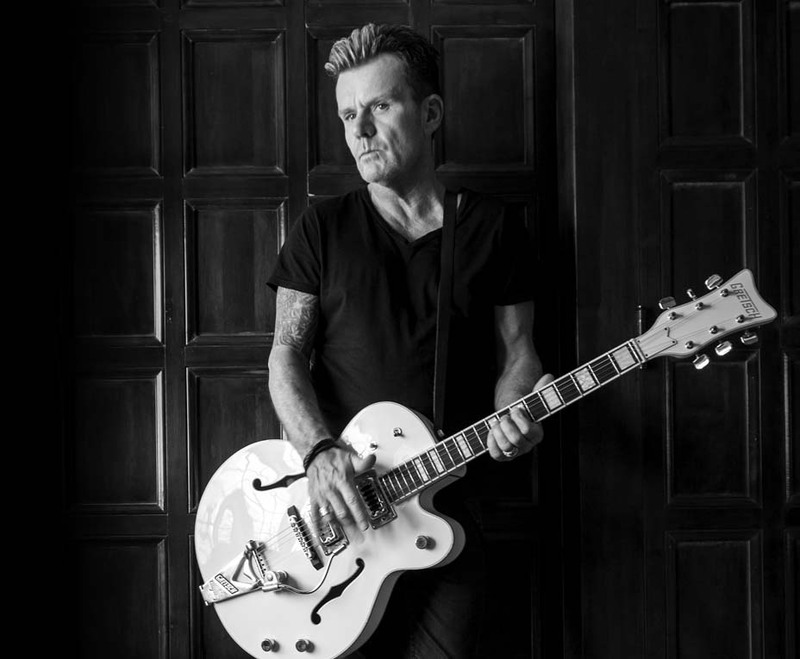 From the beer halls of Brixton to arena stages around the world, Billy Duffy’s constant companion has been his White Falcon. During his storied career with The Cult, it’s been heard on every recording, powering his mammoth rock sound. Namely its period-correct ’70s Baldwin-era shape and styling, V-shaped Falcon headstock, Silver Sparkle binding, custom wound hot “Black Top” Filter’Tron pickups with three-point adjustable ’70s-style metal bezels and Duffy’s preferred ’70s-style Bigsby tailpiece. In addition, Duffy’s signature bird of prey features a 17” wide, 2 ¾” deep single cut-away three-ply maple body with a three-ply maple arched top and back and two spruce parallel tone bars and sound post, a three-piece maple neck with ebony fingerboard, a chrome-plated truss rod cover with Duffy’s signature emblazoned on it, a chrome-plated output jack plate, pearloid wide-block fretboard inlays, ’70s-style aluminum “G” arrow knobs and a premium gray speckled “Billy Duffy” case. 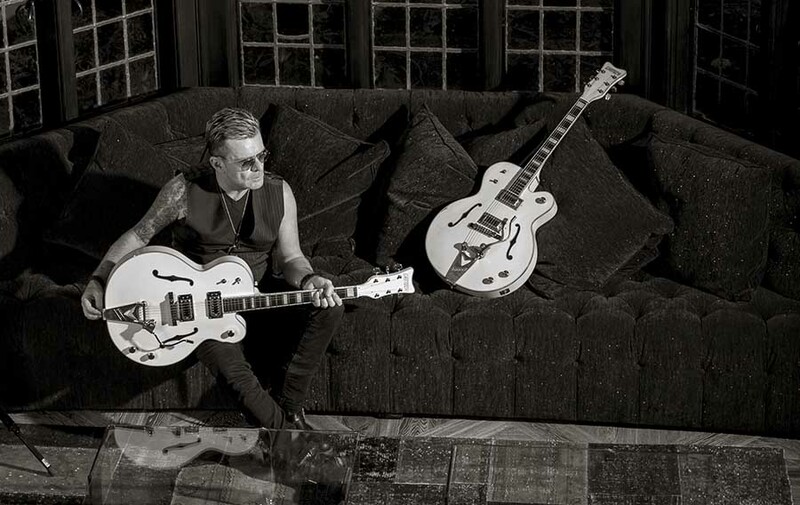 billy duffy is not afraid to make a statement. And few things make a bolder statement than Duffy wielding his Gretsch White Falcon under the stage lights with British rock legends The Cult. 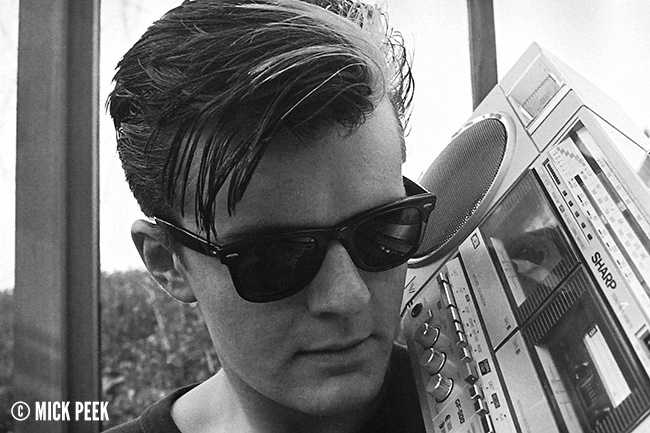 Duffy burst out of London’s early ’80s post-punk scene in Theatre of Hate before meeting Ian Astbury and forming one of rock ‘n’ roll’s most powerful, unique and long-lasting duos as what would become The Cult. Duffy’s combination of thick power chords steeped in rich chorused delay, melodic Morricone-inspired lead phrases and filthy feedback-laden solos created an unparalleled sound larger than most venues could contain. 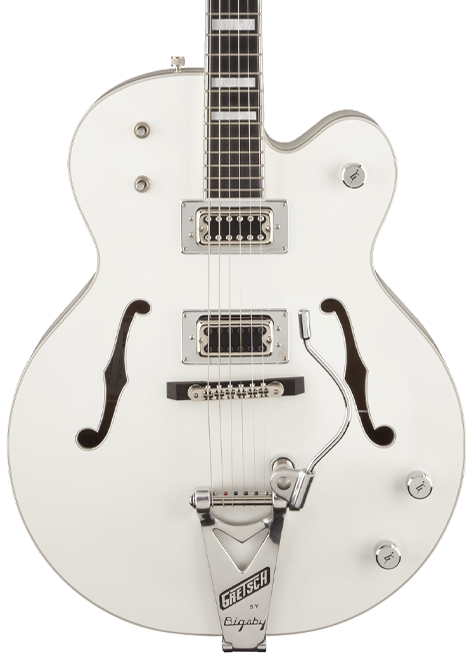 Every track on those iconic albums featured his Gretsch White Falcon exclusively, and Duffy has made a point to include it on every subsequent album, most notably the chart-topping Electric and Sonic Temple, and their most recent critically acclaimed release Choice of Weapon.